More than 10 per cent of people in the workforce struggle with either temporary or long term depression. This accessible guide offers practical advice on issues and effective strategies for both managers and employees. You can't park your depression at home when you go off to work. More than 10 per cent of people in the workforce struggle with depression, from the mild and temporary to the severe and disabling forms. If you have depression, do you soldier on or do you risk telling your manager? If you're a manager, what can you do to support your employee and also ensure the job is done? Both employees with depression and their managers are looking for the same outcome: return to best possible functioning. Tackling Depression at Work explains the key issues that arise and offers proven strategies. It covers sensitive issues of disclosure and privacy, and shows how organisations can support workers to seek professional help and then to stay well. 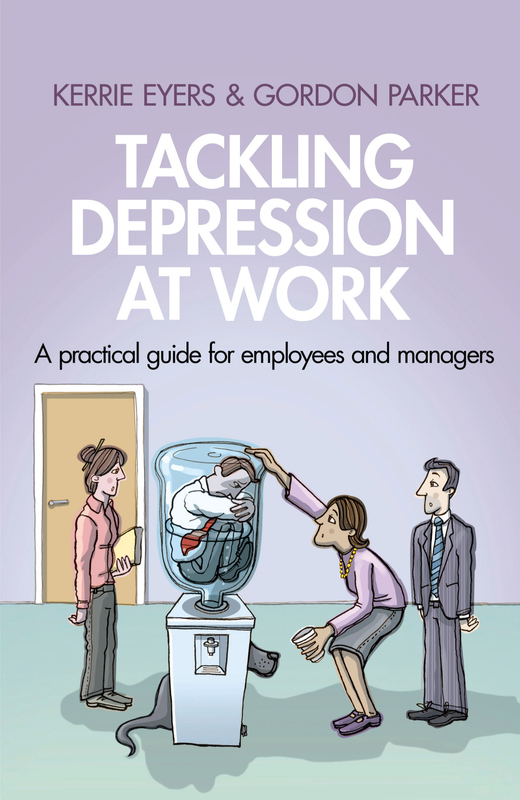 With insightful advice from workers who've learned to manage their disorder on the job, Tackling Depression at Work is an invaluable support for any worker with depression, whether it's temporary or an ongoing condition. It is also an invaluable resource for line managers and human resource managers. Kerrie Eyers MA (Psych), DipEd, MPH, MAPS is a psychologist, teacher and editor with many years' experience in mental health, based at the Black Dog Institute, Sydney. Gordon Parker AO, MD, PhD, DSc, FRANZCP, FASSA is Scientia Professor of Psychiatry at the University of New South Wales and Executive Director of the Black Dog Institute. He is a renowned researcher with an international profile and over 30 years' experience with mood disorders, and is author of the bestselling Dealing with Depression: A common sense guide to mood disorders. Together Gordon Parker and Kerrie Eyers are authors of Navigating Teenage Depression, and co-editors of Journeys with the Black Dog and Mastering Bipolar Disorder. 8. Carrying an injury into the game: To disclose or not to disclose?